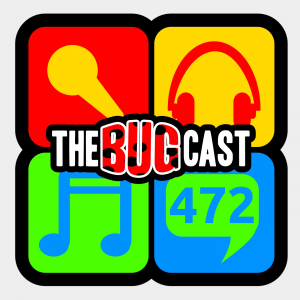 This week on The Bugcast: Chris and John from Canada dial back the chat, and play an amazing selection of 14 amazing tracks of independent and Creative Commons music from Kill Matilda, Ophelia Syndrome, Adam Wendler, Pete Lesperance, Double Experience, Chasing Eidolon, Paul Randy Mingo, Jamie Rumley, Plants, Those Things, Melanie Unger, The Easton Ellises, Brother Neil, and Two Crown King. This week, we talk about refunds, monitoring, and kids, and we play 8 great pieces of music from Falk Walk Run, Josh Woodward & Sean T Wright, Jamie Rumley, nomoredolls, Trancendam & Laurie Webb, Conway Hambone, Richard Stallman & Ally Valentine. Lots of events to mention this week, along with our usual excellent choice of music Jamie Rumley, Thom Morecroft, This Public Life, Sean Fournier, The Squeaky Chairs Band, Chasing Eidolon, Josh Woodward and Jump. It’s Red Nose Day for Comic Relief, so we’ll talk about charidee for a bit. Oh, and play some amazing music, provided to us this week courtesy of The Evidence, Jonay, Jamie Rumley, David Rovics, Midnight Conspiracy, Jennifer Richman and Clay Melton.